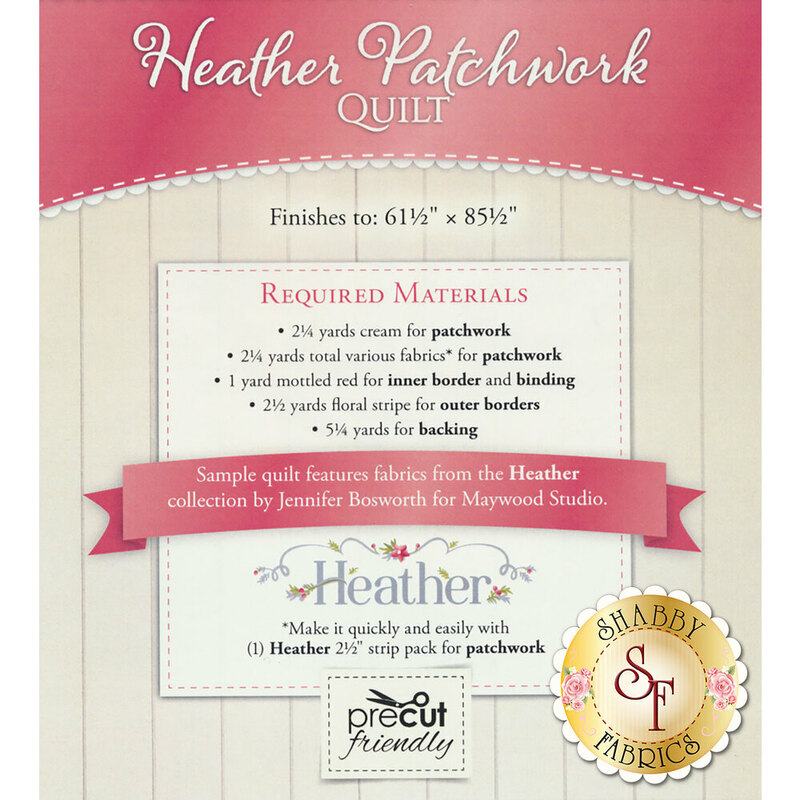 Enjoy the simplicity of piecing with the Heather Patchwork Quilt Pattern! A gorgeous arrangement of Heather fabrics framed by beautiful red borders creates a soft, yet eye-catching quilt for all to enjoy. This Shabby Exclusive was made with Jennifer Bosworth's fabric collection, Heather! This pattern features full-color diagrams. Quilt finishes to approximately 62" x 86".